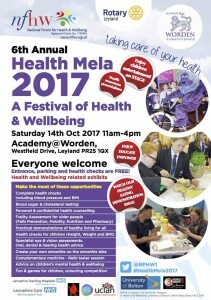 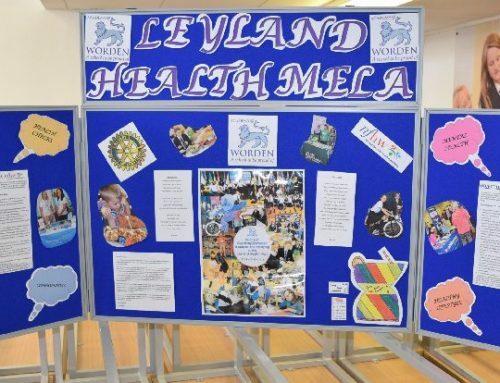 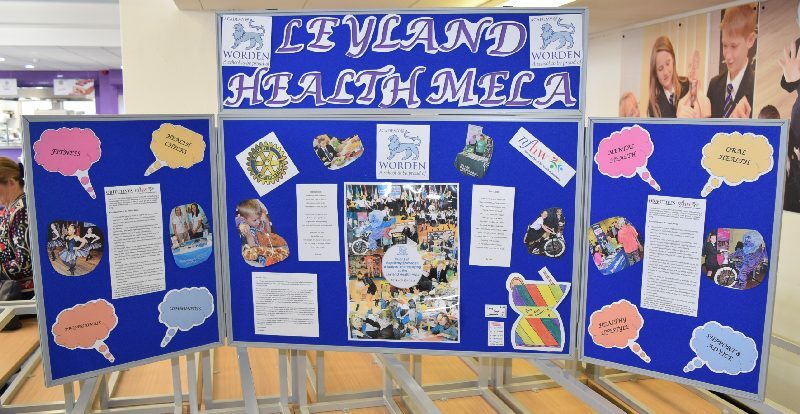 The sixth Leyland Health Mela will be held at Academymy@Worden on Saturday 14 October 2017 between 11 AM and 4 PM. 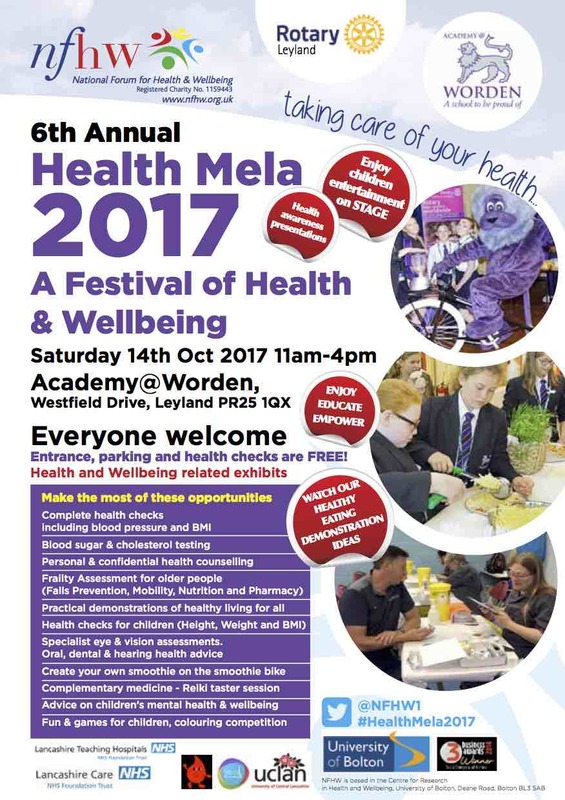 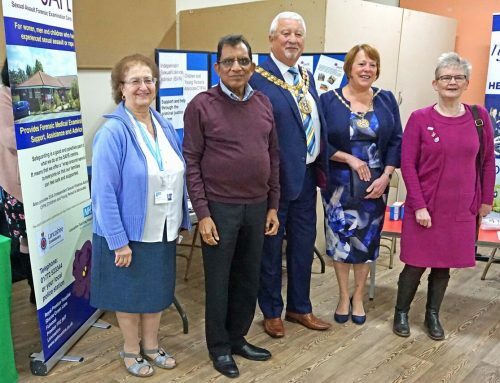 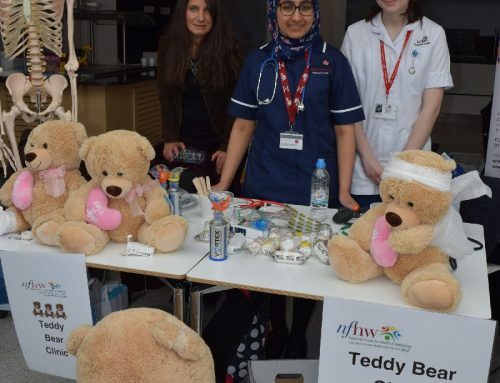 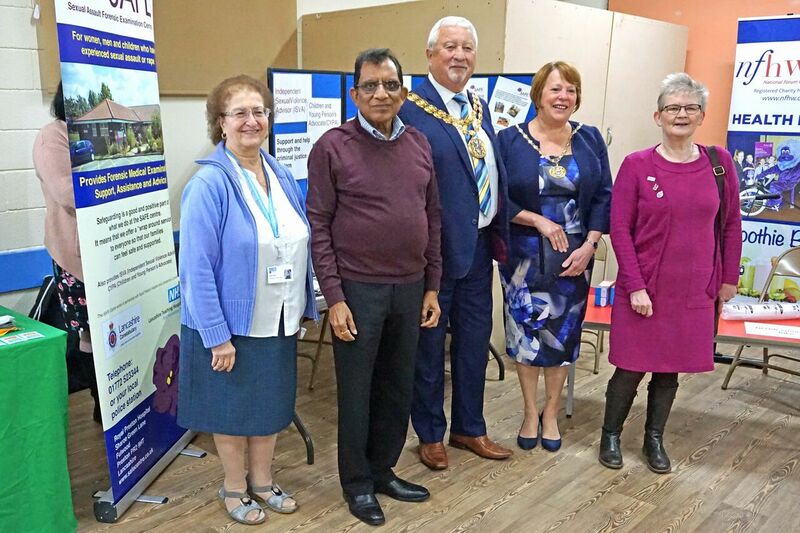 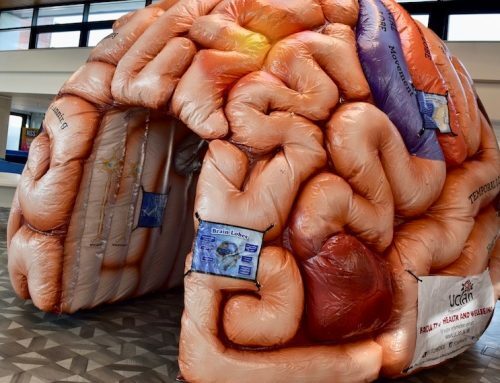 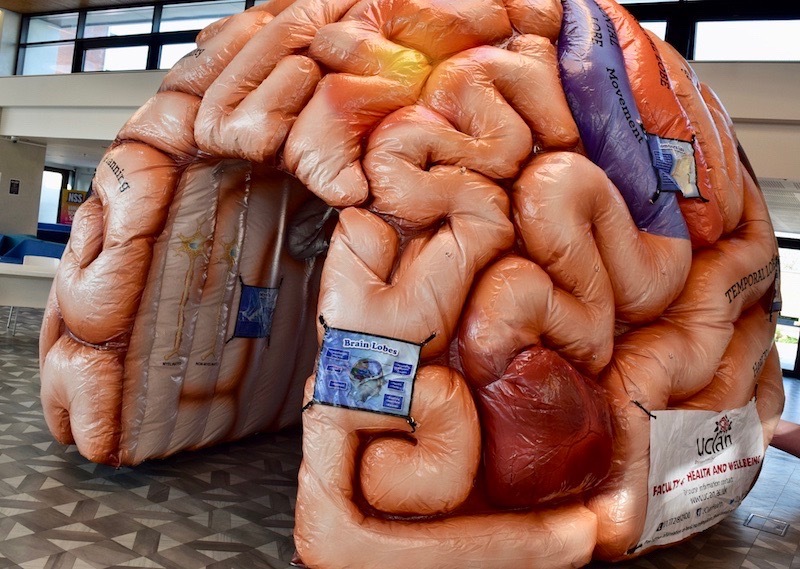 As usual, the event is free to everyone and will include several health related stall, health MOTs with confidential health assessment and tailored advise. 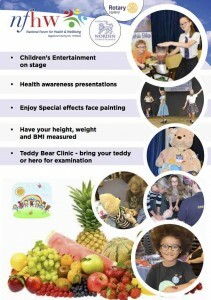 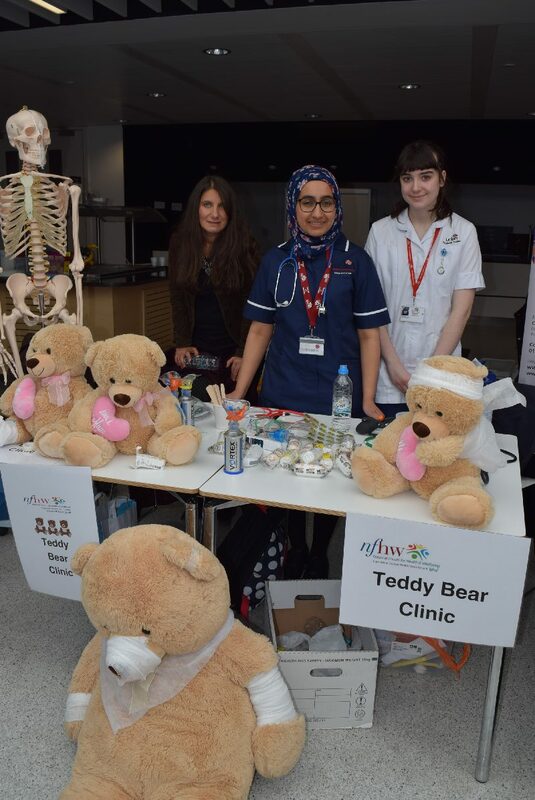 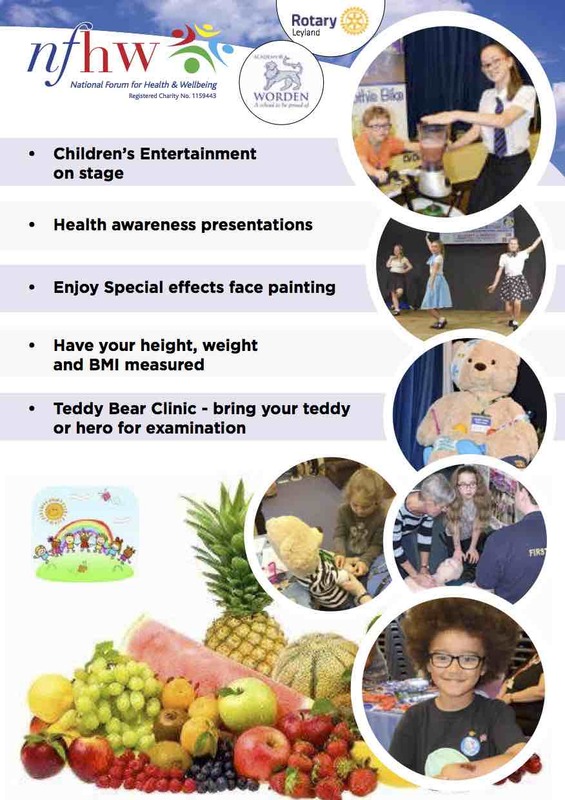 It will also feature Teddy Bear clinic and much more. 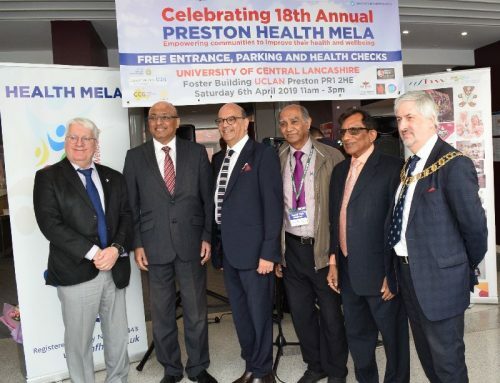 Parking on the site is free and everyone is welcome.